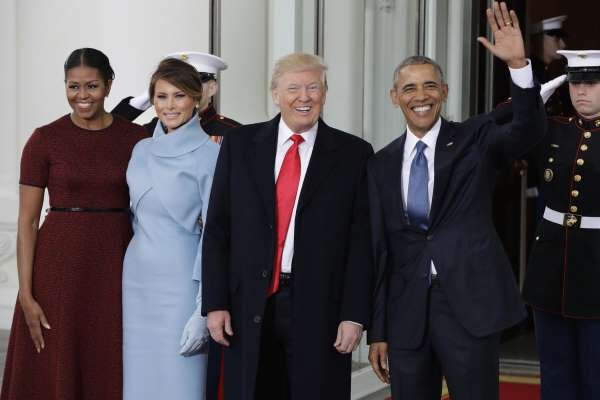 Donald Trump became the 45th President of the United States on January 20, 2017. The majority of American citizens did not vote for Donald Trump; nevertheless, he is our president. He is our president because the Electoral College (which, at the very least, needs tweaking; or, in the opinion of many, needs to be abolished) awarded Trump 304 of its 538 votes. Like many Americans, I boycotted the inauguration of President Trump. I did not go to Washington, DC. I turned my televisions to stations that did not broadcast the inauguration. I chose to peacefully protest the installation of a man who was not elected by the people to the highest office of the land. I chose not to watch a man, who bragged about sexually assaulting women and who talks about women as if they are objects, as he was being installed as the President of the United States. I chose to boycott a man who demeans and bullies American citizens who dare disagree with him. I chose to boycott a man who has so little knowledge of the history of this country and his countrymen that he has insulted John McCain, a Gold Star family, and John Lewis. Not only did he insult them, he has refused to apologize or reach out to these national heroes. It should be noted that after insulting John Lewis, Trump invited Steve Harvey and Martin Luther King, III to Trump Tower, which seems to me to indicate that Trump thinks Black people are interchangeable. So, I chose to boycott Trump’s inauguration. I chose to boycott a man who seems to be intent on destroying our free press. I chose to boycott a serial adulterer, who tried to humiliate Hillary Clinton for being the wife of one man. I chose to boycott the installation to office of a man whose election was, reportedly, aided by a foreign power. I chose to boycott the installation of Donald Trump to the position of Commander-In-Chief; because Trump, according to all reports, does not pay any taxes to support our military nor our veterans. As the protesters have taken to the streets today, January 21, 2017, the people are sending President Trump (as well as those legislators who sought, through gerrymandering, to dilute the power of the people) a message. President Trump, “we the people” did not give you our power and you do not have a mandate. We have a voice, and we are going to continue using it. You need to listen to us, because we will not be quiet. This is only the beginning! People, who are not legitimately represented by those who seek to govern them, will continue to rise up. We respect the Office of the President. However, the President must earn our respect. #StaceyAbrams spoke to everyday Americans who are struggling to make ends meet in her response to the SOTU. I Confess: I am the product of an HBCU (Historically Black College or University), Bennett College for Women, Greensboro, North Carolina. Bennett was an oasis for me — a place to refuel after spending my senior year of high school (1965-1966) with about 15 other African American students “integrating” Orange High School in Hillsborough, North Carolina during the county’s “Freedom of Choice” period. To understand what my year at Orange High School was like, all you need to know is that on Monday night, January 28, 2019, the community and school board finally admitted to racial intolerance and passed an equity policy (Bless their little hearts). Bennett took me in, healed my broken spirit, let me know that I was in good company in my fight for equality and dignity, and prepared me to move forward as a positive force in the world. Bennett College has a long history of educating, protecting, nurturing, polishing and sending women out into the larger world to reach their full potential and to be beacons in a, sometimes, dark and chaotic world. Now, Bennett is facing a financial crisis that could end Bennett’s ability to continue to produce women of integrity who can make a difference in our communities, our country and our world. Please take a few minutes to learn about my beloved alma mater, and, if you are able, please chip in and #StandWithBennett. Click the link below. Thank you. #AmericanAirlines – Thanks, American Airlines—for teaching me that even a 70th birthday celebration in Hawaii can be ruined. Why, no one could ruin it better than you, American Airlines. My daughter and I planned this trip way back in March. I charged some things to the wonderful Advantage Card, that your staff spent much of their valuable working time hawking throughout the flight—because I knew I could pay it off before my 70th birthday on October 9th. We started celebrating my birthday at 3:00am (EST) in Raleigh, NC, by getting up, dressing and rushing out to start the first leg of our trip — a 5:51am flight from RDU to DFW. Little did we know that that would be the last time we would have any control over being “on Time” getting to my dream 70th birthday celebration in Hawaii. And I just want to thank you, American Airlines, for being so spectacular at ruining my dream. Our plane arrived at DFW on time. After deplaning, I was met at the plane by a transport person, with a wheel chair, who made sure we got to our connecting flight in the knick of time to catch our connecting flight from DFW to PHX. From there, things, quickly, went down hill. The plane leaving DFW for PHX made weird noises as it taxied down the runway and took off. We, your captive passengers, looked at each other, wide-eyed. A few minutes into the flight, the captain announced over the loudspeaker that our plane would be returning to DFW so the mechanics could check out an, apparent, engine malfunction. We heaved a sigh of relief when we landed safely. We were, oddly, comforted when we realized firetrucks were following us to the gate. I don’t know about the other passengers, but I was, honestly, thankful that our pilot and the control center exercised such caution—got us safely to the ground and off the plane. Before we left the plane, we were told that we would probably be delayed for about two hours. So, my daughter and I went to lunch at the nearby California Pizza. It was lunchtime for us, because we started our day at 3:00am on the east coast. The lovely young lady, in the window seat on our row, who was trying to get home to Phoenix early from her job in Dallas to surprise her young children, said that she might grab breakfast. I mention this so that you will understand that we (my daughter and I) had already had a long day by the time we were traumatized by your plane’s malfunctioning. I cannot help but wonder when that plane was last serviced. By the time we arrived in Phoenix, we had missed two connecting flights to Kona, Hawaii. We went to the American Airlines Service Desk. The agent said we had missed the last American flight to Hawaii, but she could book us on a Delta flight out of LAX to KOA. She booked us on an AA flight from PHX to LAX. She said we would have an hour between flights which would give us plenty of time to make the Delta connection. It took a very long time to board all the passengers on the AA plane in PHX. It turns out that American Airlines tends to overbook–meaning they sell imaginary seats. So, the flight, leaving PHX to LAX, was delayed, delayed, delayed. We were seated at the back of the American Airlines plane. By the time we got to the Delta gate, our last hope of getting to Kona, Hawaii to celebrate my 70th birthday vacation at a 5Star resort, was pulling away from the gate. And, because we had been booked on that Delta plane by AA, the Delta service agents could not help us. The AA ticketing agent did give us room & dinner vouchers for the night of October 5 at Holiday Inn near LAX. This place is a far cry from the 5-Star Resort with the 2-bedroom suite where I am supposed to celebrate my 70th birthday. The place is being repaired, the carpets are dirty, my daughter and I are sharing a king bed, and we could not use our $24.00 dinner for two voucher for room service. Your new, huge American Airlines airplanes had so many tiny seats, crammed so close together that even my 5’2” daughter was afraid the person in front of her would have the audacity to lean his seat back onto her knees. Luckily he & his group were real troopers. I think they were headed to Ironman games, according to the ads on their clothing and big backpacks. And, the bathrooms were so tiny that a seven year-old was heard asking her father how her mother was able to get in there to help her little sister use the toilet. But, we all soldiered on. I realize that we should have checked the your flight “on time” record before booking a trip for my 70th birthday celebration via American Airlines. That was an error on our part. We will do better when we plan a trip in the future. I do want you— and the universe— to know that American Airlines is the best at ruining a birthday celebration. Thanks American Airlines. Aretha Franklin, (1942-2018), was more than the queen of soul music. To those of us who grew up listening to her interpret life and drop pearls of wisdom through song, she was the final word. Through song, Aretha taught us to speak up and demand R-E-S-P-E-C-T. Through song, she taught us to tell our man to “THINK” before doing us wrong, because there would be consequences. Through song, Aretha taught us about living together in one America. She used the words of “America The Beautiful”(lyrics by Katharine Lee Bates), the words of Martin Luther King, Jr., and her own words to school us to the fact that the America of Walt Whitman (“I Hear America Singing”) and the America of Langston Hughes (“I, Too”) are one and the same. When Aretha sang “My Country, ‘Tis of Thee” at the Inauguration of President Barack Obama, she sang of an inclusive America. She sang of the land where her Father died. She sang of the land that the European pilgrims took such pride in. She sang about the America from “the red hills of Georgia” to the shining sea–the America of Reverend Martin Luther King, Jr’s dream. The Queen is gone, but she left her music as a lodestar. On Sunday afternoon, I went to the movie theater to see “The 15:17 To Paris.” There was a young guy & his girlfriend in front of me at the ticket window. The guy, wearing a holstered gun on his hip, was waiting for the ticket agent to finish his conversation on the office phone and verify that he could, indeed, wear his holstered gun into the theater. After the ticket agent finished his phone conversation, he explained to the young male customer (the gunslinger) that since North Carolina is a concealed carry state, he could take his gun into the movie theater. ( I wanted to speak up and say that the pistol was not concealed, because I could see it. But, I decided to zip my lips. ) The potential movie goer explained that he wanted to take the gun inside with him because he didn’t want to leave it in the car with his young child. (I sifted through lots of questions at that point; but, still, I zipped my lips.). The ticket agent—a young Black guy—remained calm, said “no problem” to the potential movie goer(whose cut-off blue jeans’ shorts wearing girlfriend stood quietly by, holding his hand ). The potential movie goer asked the ticket agent which movie had a lot of violence. The agent said something like there are a lot of good movies. The potential movie goer pressed the agent for the name of the movie with “ like a lot of violence.” Seemingly, dissatisfied with the agent’s responses, potential movie goer wandered away, holding the hand of his true love, mumbling that he would have to think about it. I stepped up to the ticket window and asked for a ticket to “The 15:17 To Paris.” I whispered to the agent, that if the young gunslinger should return to buy a ticket to let me know so I could leave the theater; or, better yet, sell him a ticket to something else. The agent laughed and explained to me that in a concealed carry state, the gunslinger has a right to carry his gun wherever he wants. I replied that I don’t care where he carries his gun, I just want to know if he’s in the theater with me so that I can leave. The ticket agent suggested that I sit up high in the theater. He seemed pretty smart to me, so I followed his advice, determined to keep my eye on people coming in to see my chosen movie. Unfortunately, although “The 15:17 To Paris” has gotten bad reviews from professional movie critics; I got so caught up in the movie, I have no idea if the gunslinger and his girlfriend decided to come into the theater or not. 5. Vote against any politician supported by the NRA. And, ignore the movie critics when you choose a movie!